TechVibe Neighborhood Tour goes to Tech Forge! The Pittsburgh Tech Council’s TechVibe Radio recently took the studio to RIDC’s newest development, The Tech Forge on 47th in Lawrenceville. Joining them at the still active work site was: RIDC President, Donald Smith, John Bares from Carnegie Robotics, John Fullerton of Uber and Jim Jordan from Pittsburgh Life Sciences Greenhouse. The conversation with Don focused on the growing hub in Lawrenceville and how RIDC helped transform the former brownfield site into a center of robotics and technology innovation. As a mission-based organization, RIDC can financially assist and provide incubator space for start-up companies that RIDC believes in, like Carnegie Robotics. 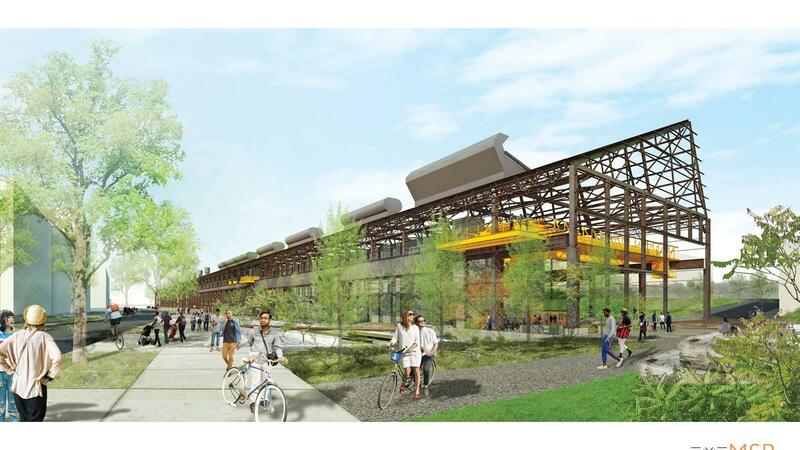 In addition to discussing the economic strides that Lawrenceville has made and RIDC’s role in it’s redevelopment, the focus also turned to the Tech Forge building: RIDC’s latest exciting project. Built as a high-tech and flex space, the 64,000 square foot building was also designed as an energy-efficient space operating 30% above code and includes amenities like bike racks and a green roof deck. Listen to Don’s full interview by clicking here. John Bares, John Fullerton and Jim Jordan also stopped by the Tech Forge to discuss their companies, give insight on Pittsburgh’s growing tech industry as well as growth trajectory. Click the links below to hear their interviews. View the quick video here which includes brief segments from each interview as well as interior and exterior shots of the Tech Forge building.